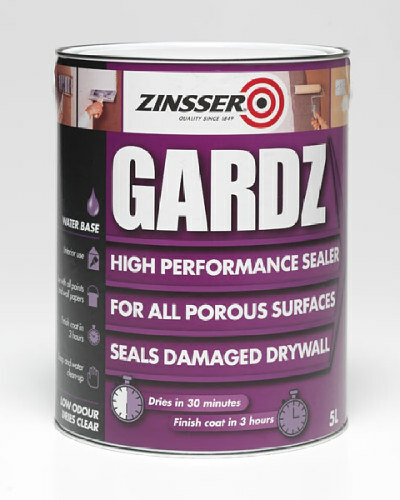 Next generation all surface, all purpose water-based primer, sealer and stainkiller. Interior & Exterior. 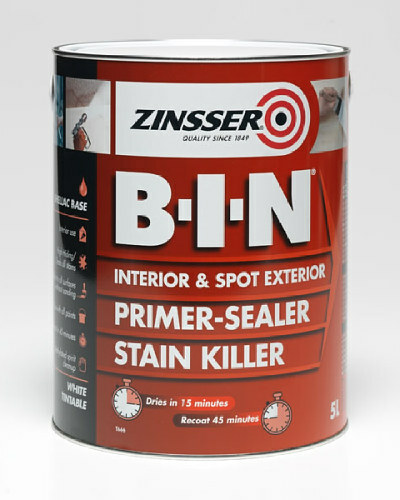 Bulls Eye 1-2-3 Plus is a next generation universal water-based primer, sealer and stainkiller. 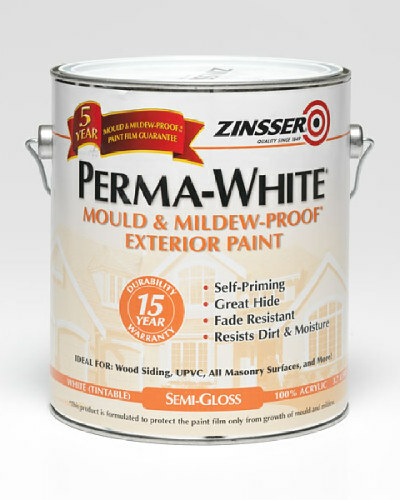 It is ideal for interior and exterior painting projects. 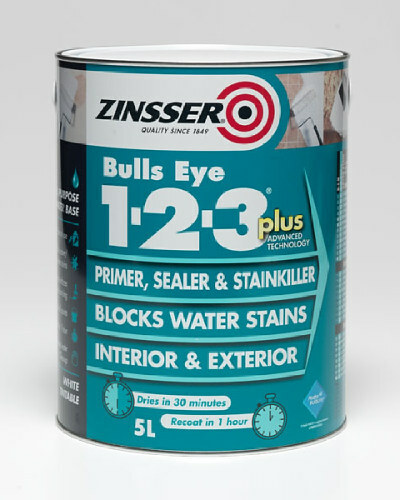 Bulls Eye 1-2-3 Plus delivers performance benefits normally only associated with solvent-based primers, including exceptional adhesion and stain blocking. 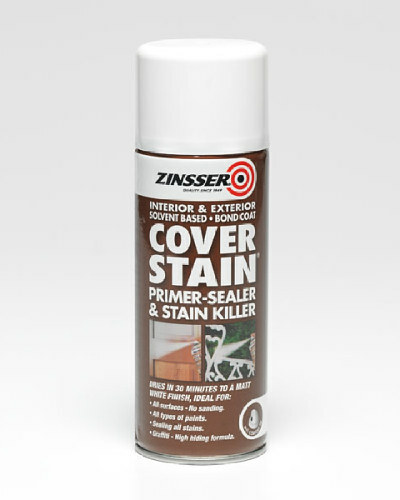 No other water-based primer delivers the stain blocking power of Bulls Eye 1-2-3 Plus. 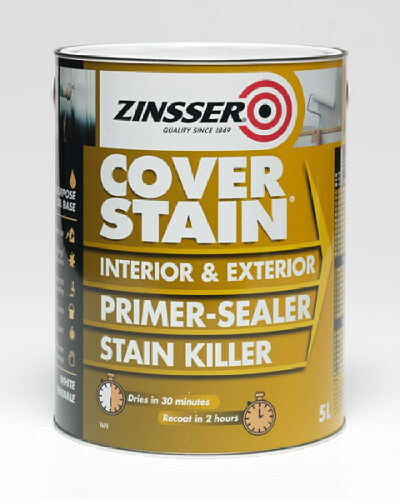 It is specially formulated to resist re-wetting, meaning it can block water soluble stains like a solvent-based primer and seal oil-soluble stains, meaning painting projects can be completed with just one primer. Uniquely, it can be applied directly over water and smoke stains. 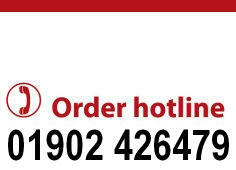 Bulls Eye 1-2-3 Plus delivers unparalleled adhesion and deals effortlessly with hard to paint interior and exterior substrates such as glossy surfaces, ceramic tiles, non-ferrous metal (such as aluminium, stainless steel and galvanised metal), vinyl, hardboard, melamine, varnish, plastic, GRP, UPVC, wood, masonry and more. 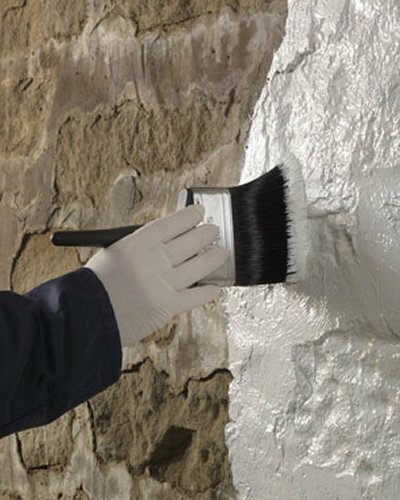 Bulls Eye 1-2-3 Plus is mould and mildew-resistant, making it ideal for high-humidity areas such as bathrooms and laundry rooms. 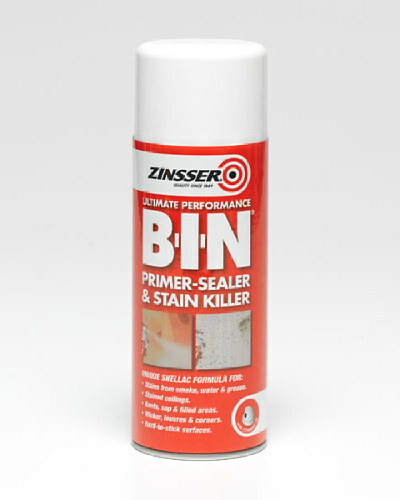 It offers effective resistance to the formation of mould and mildew on the underside and surface of the primer film, prolonging the life of your paint job. All of the above benefits combine with ultra low VOC content, a lightning quick drying time of just 30 minutes and a 1 hour recoat time.